Producing by remix, specifically completing a remix album really never gained any mainstream attraction until the early 2000’s, when Jennifer Lopez’s J to tha LO! The Remixes became the first remix album to debut at number one on the Billboard charts. Released eleven years ago, what made Lopez’s ‘Remixes’ album so popular was partly because with a new remix, came a new music video. Since then, pop/Top 40 artist make it almost customary to start a remixing-with-video campaign. In early 2001, when Epic Records toyed with the idea of re-releasing Lopez’s most successful album (and my personal fav) J.Lo, the entrepreneur herself contacted Irv Gotti at Murder INC. to enlist not only Ja Rule to help re-record the track, “I’m Real” from the album, but get in touch with R&B sensation Ashanti to help with the background vocals on “Ain’t It Funny”, that eventually served as the lead single to the remix album. The original version of “I’m Real” only peaked at #32 on the charts, then the popular Murder remix, released in the summer of 2001, ended up spending 15 weeks in the top 5 of Billboard’s hot 100 singles chart. When I look at the two videos, both directed by Dave Meyers, I focus in on the wardrobe differences: from Lopez dressed as a sleek biker chick in her black bra and pants, accessorized by her a leather hat and gloves to a more-dressed down look of tank top, shorts and Jordans to the location setting, from deserted country roads to an inner city community. These are basically two different songs: new melody, new lyrics, and new sound, and most importantly, different message through these visuals. So why not approach this song (and others) as a different song? Eventually the remix version ended up replacing the original not only on the charts, but through video play on MTV and VH1. Perhaps the reason for musicians to remix their music is to introduce their work to a different genre (in Lopez’s case, it is the R&B/Hip hop community) or to work on a change of image (We think of Rihanna’s idea to re-release her 2009 album, Rated R into a house music remix album that worked as a prequel to her light and colorful album, Loud, (released six months later) designed perfectly as music to spin for a night out on the town. These remixes, more specifically Lopez’s “I’m Real” took prominence in the media long before the online remix culture, that Richard Edwards and Chuck Tyron mention in the article “Political video mashups as allegories of citizen empowerment” caught fire. Today, user-generated remixes of popular music is all over YouTube. Fans no longer have to wait until their favorite artists decides to retool a music video to branch out to a different musical genre: they do it themselves. 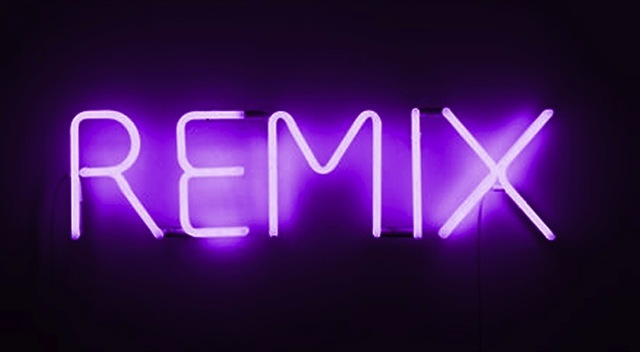 Oftentimes fans will make a remix video into a mashup by using two or more pre-existing videos, or by mashing up two different artists, blending the music together to satisfy their own needs. As Edwards and Tyron mention, anybody with the ability to use editing video software, even those with “limited and basic media skills” can create, post and share these videos. Some of my favorite include a fan made remix to Beyonce’s “Green Light” that used footage from her 2007 The Beyonce Experience world tour and her “Ring the Alarm” music video. Perhaps this fan was unhappy with the original “Green Light” video and decided to create a video that set the tone to the Freemasons Remix. YouTube user PTC1973 decided to create a (fan-made) duet with Britney Spears and Justin Timberlake in “Circus Tipsy” by using audio and video snippets from “Circus” and “What Goes Around (Comes Around)” respectively. A more recent video, with nearly 34,000 hits comes from Alfarizkiqodri’s fanmade remix of Demi Lovato’s “Neon Lights (Alex Ghenea Remix)” video, which received positive reception throughout the Lovato fan community. This fan slowed down and reversed images from the original video footage that helped the video connect with the dancey beats. The quality of these fan made remix videos are up to par with a professional music video, all because of the footage available to the user. Perhaps remixing and mash ups aren’t that different after all, I believe the two work well and balance each other out, which allows one to comment on an artists’ work or for once, make their own creative choices.